1 of 3 Mash 2 cups of the raspberries in a medium saucepan. Place over medium-high heat. Add granulated sugar, cornstarch and 1/4 cup water. Bring to a boil, stirring, constantly. Cook, stirring for 2 minutes. Cool to room temperature. 2 of 3 In large bowl, beat cream cheese, whipped topping and confectioners sugar until smooth. 3 of 3 Spread cream cheese mixture evenly over bottom of prepared crust. 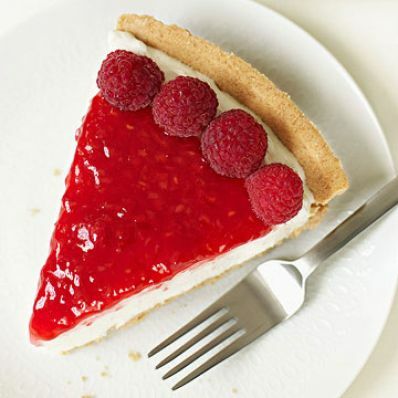 Arrange remaining raspberries around edge of crust. Spoon cooled raspberry sauce over the top. Garnish with additional berries, if desired. Refrigerate 3 hours.